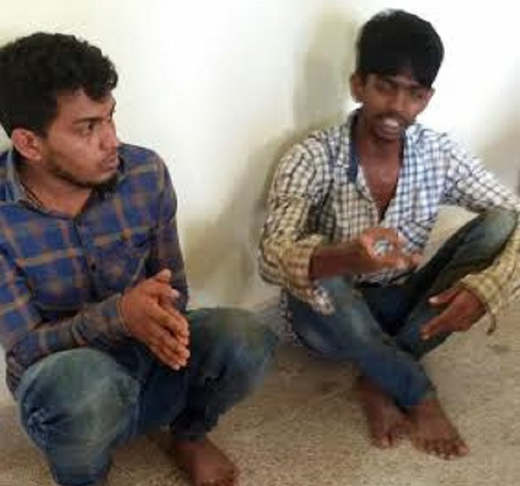 Udupi: August 24, 2015: The Udupi police have arrested two youths in connection with illegal transportation of cattle in Nejar on Sunday August 23. The two accused has been identified as Yasin(18), from Kodibengre and Arfaq(20) from Hoode Thonse health centre. According to the police the youths were illegally transporting one cow and two calves to Hoode in an Indica car on Sunday morning. The car which was moving recklessly made the police suspicious who then signaled the car to stop. The youth sped away without stopping the vehicle. However, the duo stopped their vehicle few meters ahead and escaped from the spot. The police seized the car and rescued cows which were illegally transported. The police started searching the accused and finally nabbed duo on the basis of registration number of car. A case has been registered against duo at Malpe police station. How many cases of cattle smuggling is seen in the city? Shame on the people, When it is illegal why they go for it and create problem.